MENDON, Mass. /Massachusetts Newswire/ — Southwick’s Zoo is excited to announce their new Winter Wonderland event and community outreach program. We are eager to give back to our communities by offering visitors to our Winter Wonderland event a $5.00 discount on admission for bringing an unwrapped toy, canned good or non-perishable item. Your donations will be distributed to Toys for Tots and local food pantries. We are an approved Drop off for the Toys for Tots program, so you may drop off a toy item at any time. Won’t you help us reach thousands of families in need this holiday season? Winter Wonderland is opened to visitors on Fridays from 4- 8 p.m., Saturday and Sundays from noon to 8 p.m. from November 16th thru January 6th. Journey through the zoo on Santa’s Christmas train to see dazzling holiday lights and of course, Santa himself. 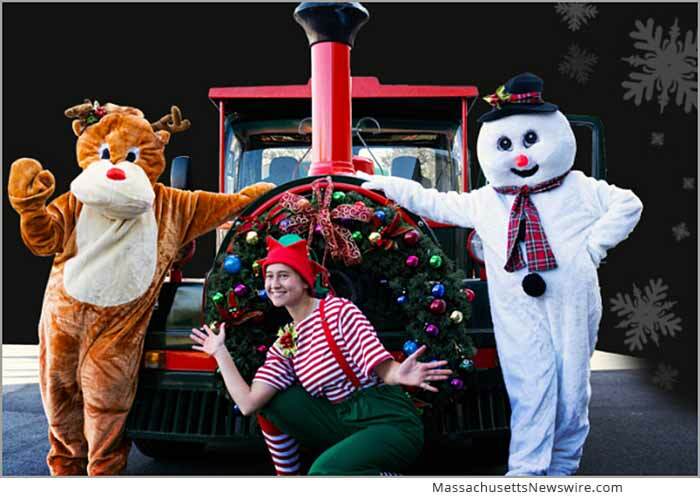 Festivities include the petting zoo, skyfari skyride, holiday characters, personalized ornaments, unique gifts and brunch with Santa at Galliford’s Restaurant and Tavern. Brighten your holidays with a new family tradition to Winter Wonderland at Southwick’s Zoo. Southwick’s Zoo is a privately-owned zoo located at 2 Southwick Street in Mendon, MA and is home to hundreds of wild animals, featuring more than 150 varied species (many of which are endangered). Southwick’s Zoo’s mission is to provide an extensive zoological collection and educational facility for their visitors. Southwick’s Zoo offers an exciting environment for visitors to learn more about animals and their conservation.